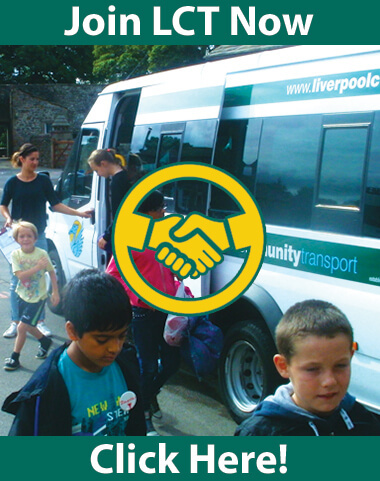 Liverpool Community Transport exists to provide safe, accessible and affordable transport for voluntary, charitable and community organisations in Liverpool on a not for profit basis. We have a fleet of over 40 vehicles, which are available for use 24 hours a day, 365 days per year. We aim to provide support by giving groups access to our vehicles which enables their members to fulfil many activities in life that many able people take for granted. For instance going shopping, day trips, lunch clubs, therapy sessions as well as enabling groups to go on holiday together. We are an official member of the Community Transport Association, an approved MOT testing station and offer information on P.A.T’s (Passenger Assistant Training), MiDAS training, Safeguarding and First Aid training.